Wilmington, NC took a direct hit from hurricane Florence on September 14, 2018 - the feast of the Exultation of the Holy Cross. We were truly given a cross to bear in Wilmington as our residents were evacuated or sheltered in their homes. 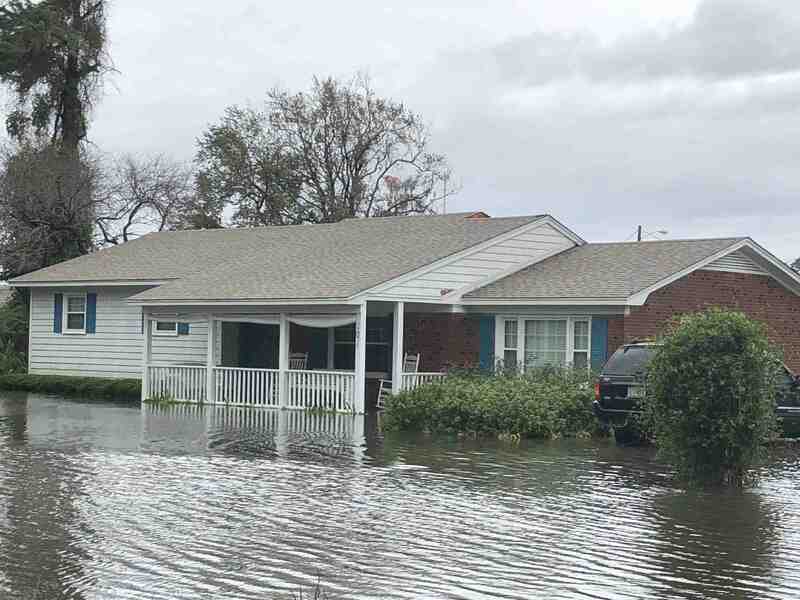 As a Category 1 hurricane with category 3-4 storm surge and rain, the city has been devastated with flooding, home damage and wind damage - many are unable to return to their homes at this point. Disaster response officials indicate that the worst is yet to come. 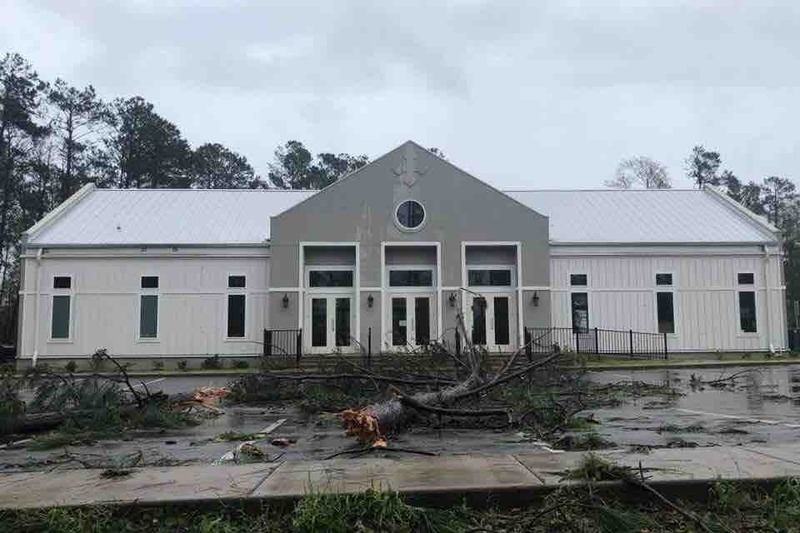 Saint Basil Orthodox Church (OCA) has already received reports of major, uninsured losses among parishioners. We are a young parish (10 years old) without great resources at this point, so we are limited as to the financial resources we can provide. We have initiated this GoFundMe to solicit donations that our parish council (and a relief fund team to be appointed) will administer and "vet" through a formal, needs based application process. We will assist not only our own parishioners, but neighbors and "the least of these" who come to us for help. There will be immeasurable needs in the days ahead, and we would love to be able to offer assistance to those in crisis. Feel free to call the Church office if you have any questions or concerns, but please be assured that we will be wise stewards of any donations that you are able to offer. May our Lord richly bless you for your generosity! What a week it has been! While Wilmington and the surrounding area are hardly in the clear, we are returning to some semblance of normalcy. We are starting to get a handle on what lies ahead, and the task is great. However, with all of your help, the process will be much easier. We have been working very hard to start our relief efforts as quickly as possible. There are so many national relief organizations on the ground, and cooperation among them is great - it has truly been inspiring. We have been able to find contractors in the area who are not looking to capitalize on the crisis. We were able to secure $20,000 worth of tree removal services for $5000, and we spent an additional $800 on lumber and supplies. 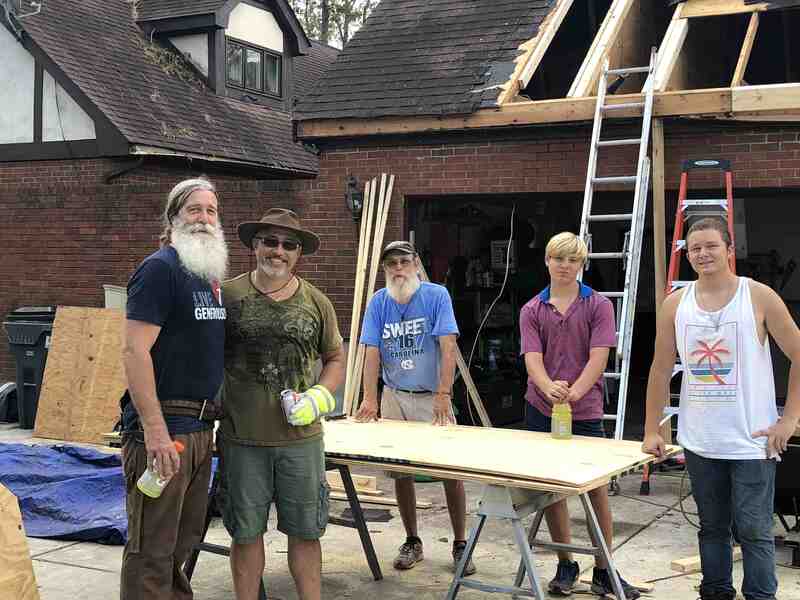 Thanks to the generosity of some volunteers from churches in South Carolina and Georgia, we were able to complete some significant repairs. We have, so far, by using resources wisely and seeking partners willing to help from businesses and volunteers, been able to accomplish $40,000 worth of repairs to secure a severely damaged home ... for about $6,000. Thank you! Please pray for us, and spread the word. 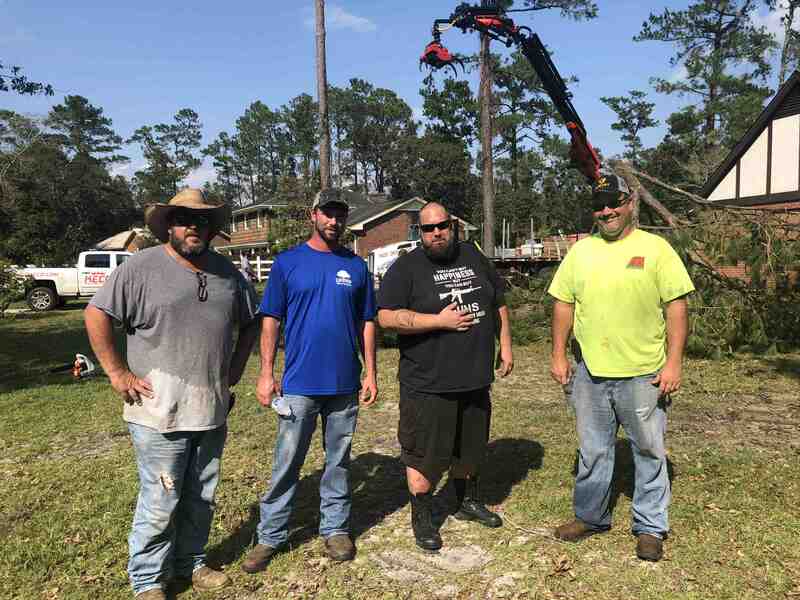 Michael L. - homeowner with the crew. We have been in touch with International Orthodox Christian Charities (IOCC) who will be setting up a base of operations at Saint Basil in the days ahead. We walked though the neighborhood by the church, and there are some flood damaged homes that could use some help, and we certainly will work with them. We are still having difficulty getting to some parishioners impacted by the storm. 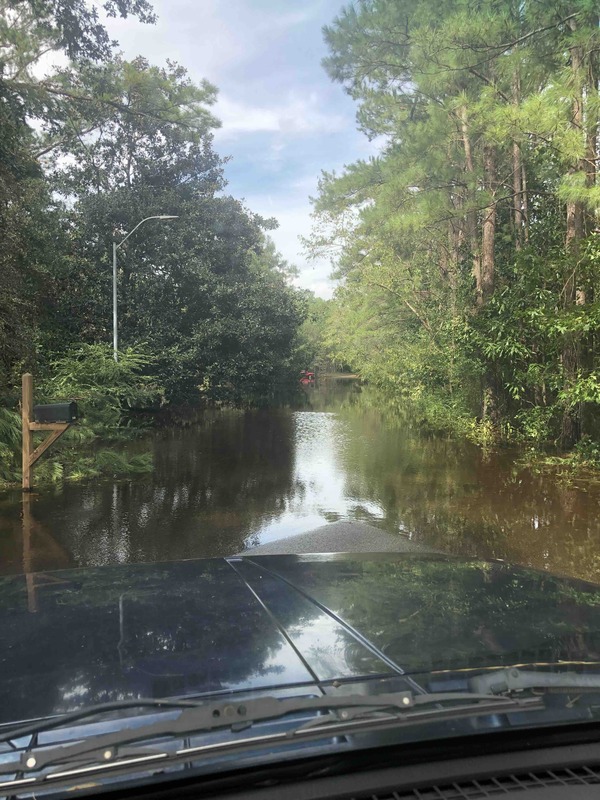 Flood waters are rising, and it looks like a war zone with military convoys rushing from one crisis to the next. Thanks to all for your generosity - we will keep you posted as we emerge from this. With Wilmington cut off from outside resources due to flooding, airlifts are the only way many supplies are making their way to the region. Fuel shortages are an issue, and first responders are concerned about their own supplies of gasoline. Please continue to pray.